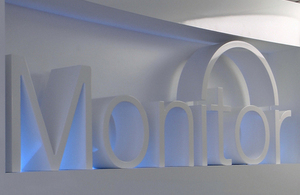 Monitor and the NHS Trust Development Authority launch a new financial improvement programme. NHS providers will be able to access additional help with improving their finances, under a new financial improvement programme created by two national healthcare bodies. Developed by Monitor and the NHS Trust Development Authority, the ‘Financial improvement programme’ will enable NHS providers to take advantage of additional improvement advice and expertise. Providers will bring in external financial and operational support to help them make the required savings, so that patients can receive high quality care which is financially sustainable. NHS Improvement will support trusts as they go through the process of commissioning the external support, ensuring that they get best value for money from potential suppliers – including linking fees paid to results achieved. While the ‘on-site’ support will be funded from trust budgets, it is anticipated that the savings to be achieved in the first year will outstrip the cost. Government has given the NHS an additional £3.8 billion to transform it into a service that consistently meets the needs of our patients. But we must play our part. We recognise that some trusts need and would appreciate more help in fixing their finances, and this programme will give them the support they need to make the improvements required.